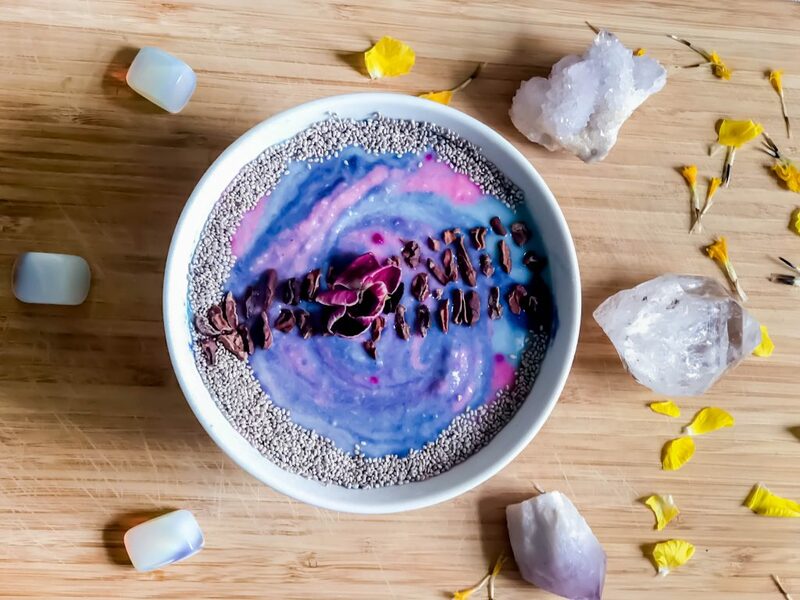 today I’m playing with my new raw nice powders for color – it’s always been one of my favorite things to make beautiful vibrant smoothie bowls – this one is my weekly go-to as it is low in sugar yet still delicious, beautiful and a blank white canvas to use any fruits you enjoy to decorate. let me know if you have any questions or feedback as I always love to hear it. Frozen Coconut Meat packets from Inner Eco. Rawnice pitaya & blackberry pea protein powders. add in your frozen coconut, frozen cauliflower, coconut milk, raw monk fruit powder, protein powder, vanilla, and moondeli’s calming adaptogen powder and blend – if the mix is too frozen to blend add more coconut milk until it is still thick but blendable. blend until smooth. leave out the colorful powders for the next step. separate the smoothie into three parts. I used a bowl for the first color (blue spirulina) a mason jar for the second color (pitaya powder) and a 1 cup for the third color (blackberry pea protein). now using three different clean spoons blend the mixes into you have the desired color. now it’s time to decorate – get as creative as you wish! xo I added chia seeds, edible flowers, and organic cacao nibs. 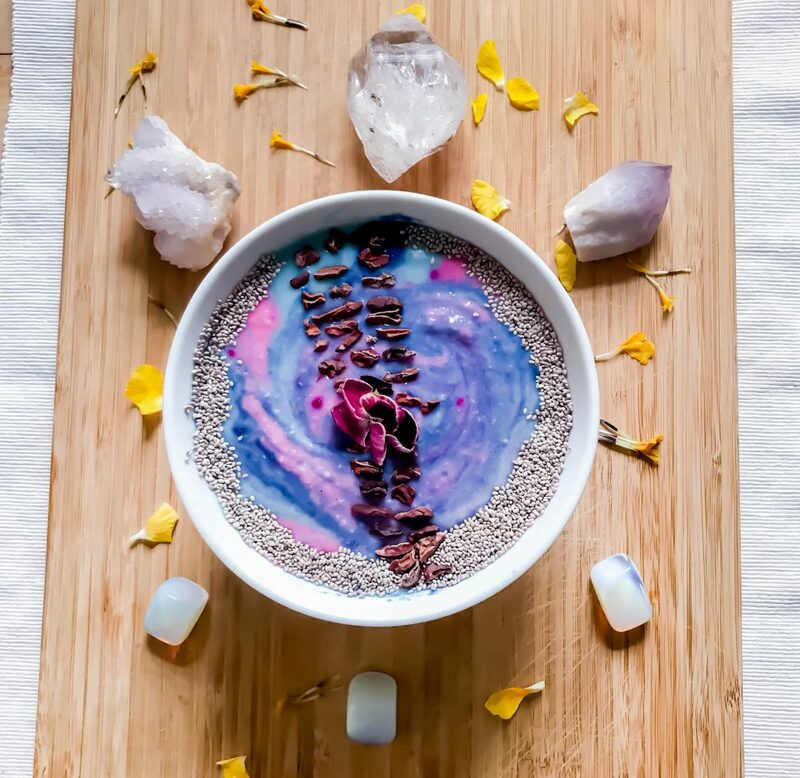 let me know if you would like a tutorial for decorating and designing your own smoothie bowl xo. ENJOY!